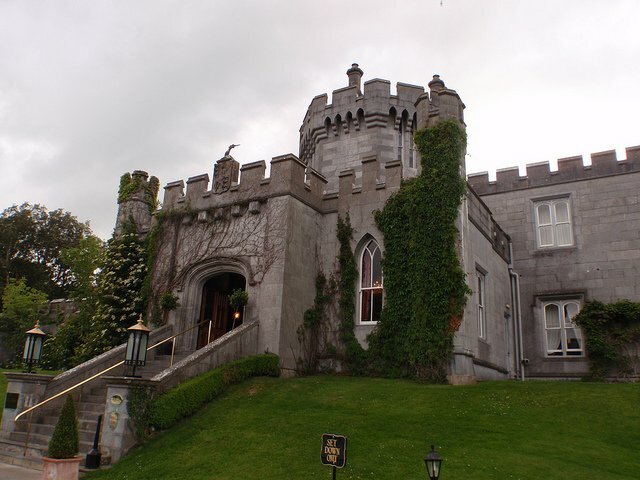 If you ever dreamed of staying at a medieval castle, the Dromoland Castle Hotel in the County Clare region of Western Ireland is just the place. Sitting on a dreamy 450 acres of countryside begging to be explored, this stately castle takes visitors back to medieval times. Whether you take in the sights from a historical pony-drawn carriage or wander to the adjacent lake for an afternoon of fishing and boating, there are stunning Irish vistas to marvel at in every direction. Dromoland Castle Hotel is a landmark of Irish tradition and culture, boasting 5th century relics including chandeliers, mysterious castle corridors and lavishly outfitted common areas. Once the home of Brian Boru, the only High King of Ireland, this property is now re-purposed into a 100-room hotel where guests can expect excellent amenities, stately decor and traditional Irish hospitality. Quaint sitting rooms and the glow from charming fireplaces are part of that welcoming atmosphere along with romantic garden and lake views. Combine these comforts with modern touches like a world class business center, full service spa and restaurants offering gourmet international fare. The Dromoland Castle Hotel becomes the obvious choice for those wanting to experience everything County Clare has to offer. Try your hand at clay shooting and archery, or venture out on horseback during a guided trail ride. For those interested in an active vacation there are plenty of options. Fishing and tennis, mountain biking and hiking are just some of the choices. The Dromoland School of Falconry offers “hawk walks,” a unique insight into the noble and ancient art of falconry. Guests rave about this stimulating and memorable experience. All of the majestic birds are captive bred and they include different species of falcons, hawks, and owls. Golf enthusiasts find their fun on the links at Dromoland Golf and Country Club where the parkland course is set against the impressive background of the castle. In existence since 1961, the course was designed by renowned golf architect Brooks Wigginton. The 18 holes sweep through acres of shady woodland, open rolling pastures, feral lakes and past burbling streams. Room rates start at about $353. For more information, visit Dromoland Castle Hotel.